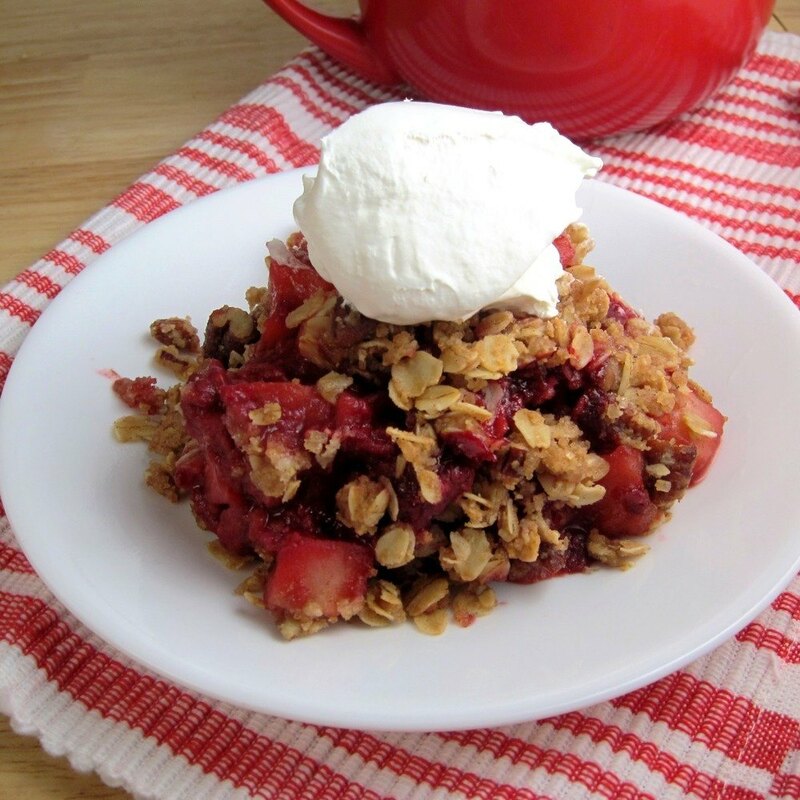 An Apple Raspberry Crisp with Oat Pecan Topping is a great twist on the classic apple crisp. Makes a great Thanksgiving dessert, especially when topped with whipped cream or a scoop of vanilla ice cream. Preheat oven to 375F. Use butter to grease a 9. or 10 inch pie dish, or spray it with non-stick spray. In a very large bowl, combine the chopped apples, raspberries, 3 tablespoons flour, sugar, cinnamon, nutmeg, and salt. Mix well. In another large microwaveable bowl, melt the butter for 30 seconds at a time until melted. Add all the ingredients for the topping to the bowl and mix well until you have a crumbly mixture. Add the filling to the greased pie dish. Scatter the crumble mixture all over the fruit filling. Bake for 40-50 minutes at 375F, until the crumble topping is starting to brown and the fruit filling is bubbling underneath. Allow to cool for at least 15 minutes. Serve with ice cream or whipped cream. Healthy Peanut Butter Fruit Dip – 5 Minute Recipe!